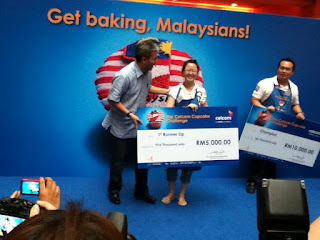 Wendy Pua | Malaysia Chinese Lifestyle Blogger: Celcom Cupcake Challenge Finale Happen Yesterday! The rest of the 52 finalists: An LG Prada mobile phone each. 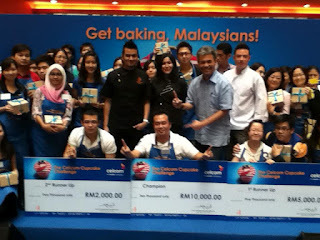 There were a couple of celebrity judges involved this afternoon to judge the contestants, namely Chef Rose Weiss, Chef Sherson Lian, and Chef Dato Fazley Yaakob, the winner of MasterChef Selebrity Malaysia in 2012. At the finale, visitors to Publika were treated to a 1000 free cupcakes giveaway as well as opportunities to enjoy cupcake decoration workshops and hands-on sessions. 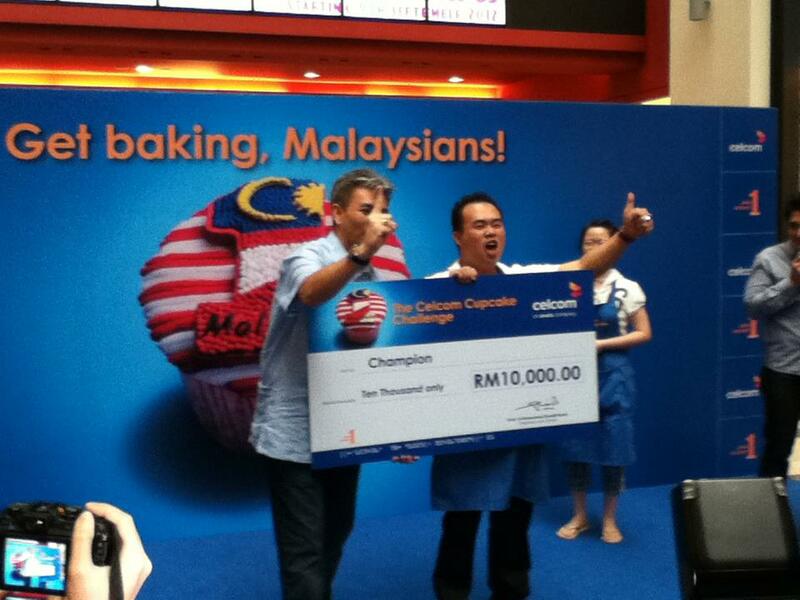 Let's See Who's the Top 3 Winner for this Celcom Cupcake Challenge. 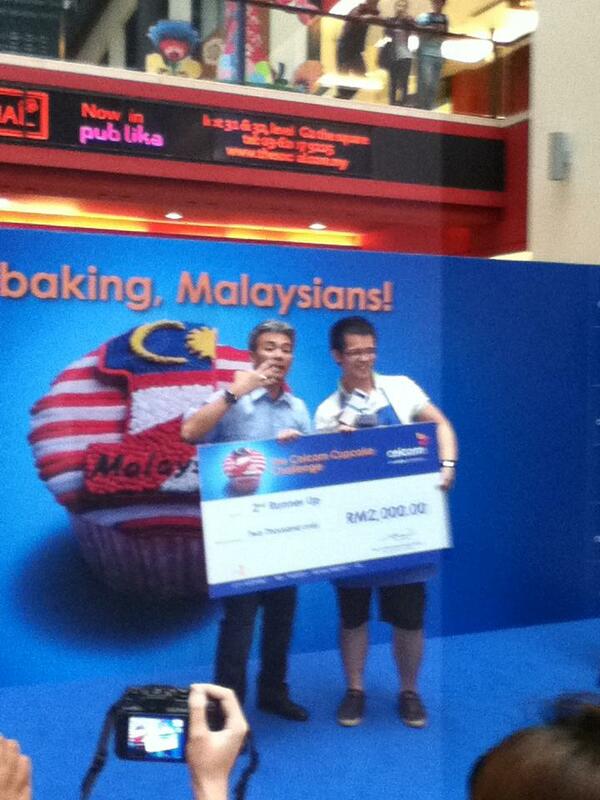 2nd runner up Mac Leong's cupcake! 1st runner up Juneci Siong's design - very 1 Malaysia! 1st prize winning design from Vincent Liew! Woah He is walked away with a brand new Samsung S3 and Cash Money of RM10,000.00 Cool Man! 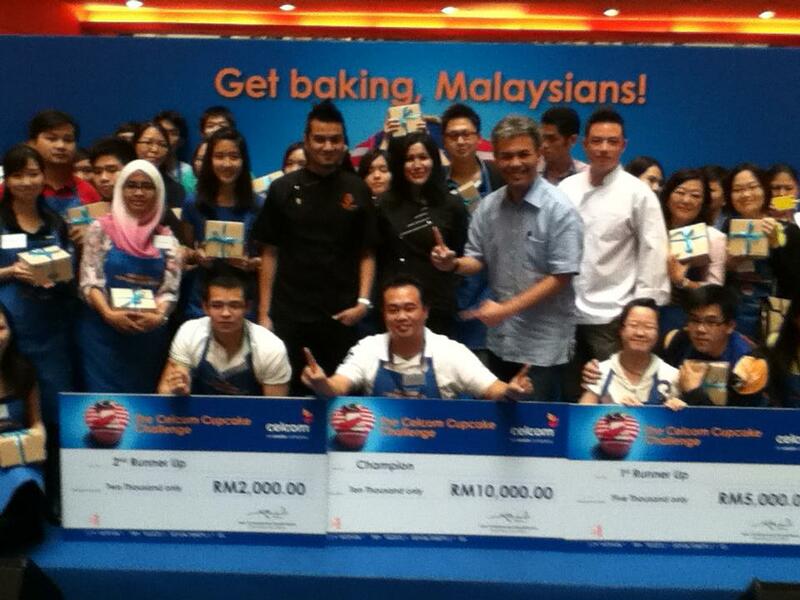 55 celcom cupcake challenge 2012 finalists group photo with their prizes! i wish to join for the round if any! Can you spot me anywhere?